NEW YORK (PRWEB) – On March 25 2019, the Vino&Arte Gallery at Il Borro – an estate in the heart of Tuscany owned since 1993 by Ferruccio Ferragamo – opens its doors to visitors for a new exhibition, intriguingly entitled “Bacchus and Venus: the role of the female in wine history”. It’s a narrative journey that meanders between two mythological figures, one of whom is seen as the cause of the other in the sphere of love. The guiding theme of the exhibition, as always, is wine, considered to be the prelude to love. Ferruccio Ferragamo’s interest in art has been long known, and is expressed in his Vino&Arte Gallery, which for more than a decade has displayed his private collection of engravings alongside a series of new exhibits. The key figure in this new show is woman, who embodies various personalities depending on the situation. Indeed, art history allows us to see how the role of the female is not limited to a passive use of wine, but how women often conduct and direct many of the activities in which it plays a part. 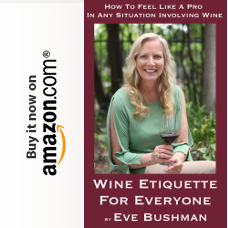 They are the spirit of occasions of domestic diversion which would not be the same without wine on the table; but when necessary they are also the ones who put an end to excessive drunkenness and, after the party, tidy up and bring order back to the home. Queens of the domestic sphere, but also tireless workers in the fields, women take an active part in every stage of winemaking, from the grape harvest to selling wine at markets or fairs. However, the story of wine is also closely interlinked with occurrences in the human world; despite its connotations in Greek and Roman religion, it transcends paganism to become an essential element in Christianity as well. Wine is actually a crucial part of the rite of Holy Mass, the celebration of the Last Supper. And once again, through the lens of art, we see the female figures whose lives have been woven into the story of wine and its symbolism from the Old to the New Testament, starting with the most important of all, the Virgin Mary. The exhibition is arranged in ten different sections (The Bacchantes – Hebe, cup-bearer of the gods – The cup-bearer among men – Ariadne, the lover of wine – Wine and lovers – The spirit of domesticity – Managing high spirits – The vine is female – Divine women – Free spirits), each of which focuses on the role of women in the history of wine through the celebration of both in art, presenting a new viewpoint to reconstruct the close ties connecting the story of humankind with what might otherwise be considered a simple drink. 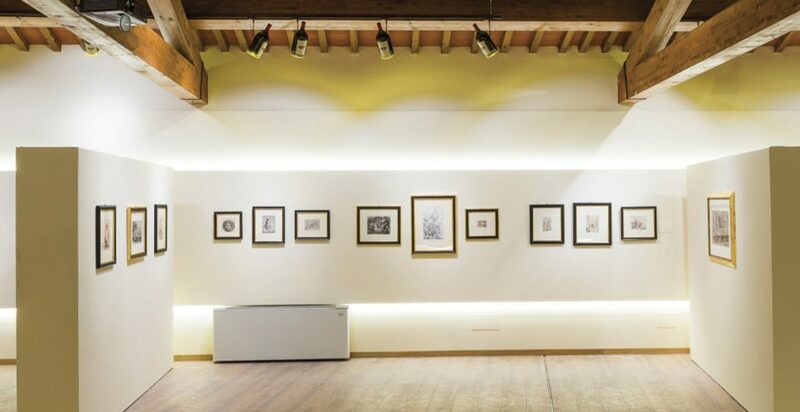 The Bacchus and Venus exhibition will be at the Vino&Arte Gallery at Il Borro from Sunday 25 March 2019, and can be visited every day subject to booking (winetour(at)ilborro.it | +39 055 977053). Visits to the Vino&Arte Gallery are followed by a tour of the winery downstairs, with a tasting of Il Borro wines. Il Borro is an estate owned since 1993 by Ferruccio Ferragamo. Involved in the running of the estate are Ferruccio’s son Salvatore Ferragamo (now CEO of Il Borro) and his daughter Vittoria (responsible for the organic vegetable garden and special projects). The estate occupies seven hundred hectares in the Valdarno Superiore basin in the heart of Tuscany. Il Borro has a strong focus on the environment and the ecosystem, and has been completely organic since 2015. It is a member of the prestigious Relais & Châteaux association and it includes a fully-restored medieval village containing 38 exquisitely elegant suites; two luxury villas – La Dimora Il Borro and Villa Casetta – and the 18 suites of Le Aie del Borro, which are ideal for families or groups of friends and will be available from June 2019. In addition to the Relais & Châteaux accommodation, there are “I Borrigiani”, five country homes run as rural guest houses. Furthermore, there are two restaurants: Osteria del Borro and Il Borro Tuscan Bistro, headed by executive chef Andrea Campani; there is also a Spa and the Vino& Arte Gallery. Il Borro has a winery and 45 hectares of vineyards, used to produce the estate’s fabulous wines (12 labels, of which 10 are entirely organic); 40 hectares of olives which produce an excellent extra virgin oil; an organic vegetable garden and 30 beehives which supply several varieties of organic honey. 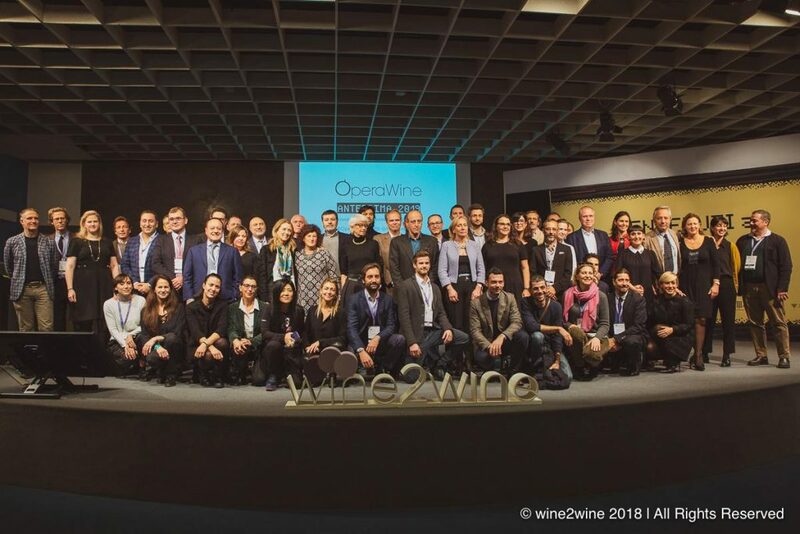 VERONA, Italy (PRWEB) – Wine Spectator’s senior editor and tasting director Alison Napjus announced the 103 wineries that will pour their signature wines during OperaWine 2019, Vinitaly’s opening gala to be held in collaboration with the prestigious wine magazine in Verona, Italy, on Saturday 6 April. As is been customary for the past three years, the announcement has been made in Verona during the wine business convention wine2wine organized by Veronafiere, Vinitaly, and Vinitaly International. Napjus proclaimed the 103 finest Italian producers for 2019 on Monday 26 November at wine2wine in the presence of Maurizio Danese (President of Veronafiere), Giovanni Mantovani (CEO of Veronafiere), Gianni Bruno (Area Manager of Vinitaly), and Stevie Kim (Managing Director of Vinitaly International), and called the wineries’ representatives on stage for the traditional group photograph. The 100 top Italian wines have been selected among 2600 samples from Italy that Napjus along with Wine Spectator Senior Editor Bruce Sanderson received in 2018. Criteria for the selection are the quality of the wines as showcased during the rigorous blind tasting process the magazine is famous for as well as, in Napjus’s words, “leadership, historical significance, diversity for the tasting itself.” The wines will be poured to a select cohort of press and trade professionals during the 8th edition of OperaWine Grand Tasting that will take place in the heart of Verona city center in the historic Palazzo Gran della Guardia on Saturday 6 April 2019. Wine Spectator’s list of the 2019 100 best Italian wine producers is available below and additional information on OperaWine can be accessed on its website. About: The grand Vinitaly 2019 will be held from April 7th to the 10th. 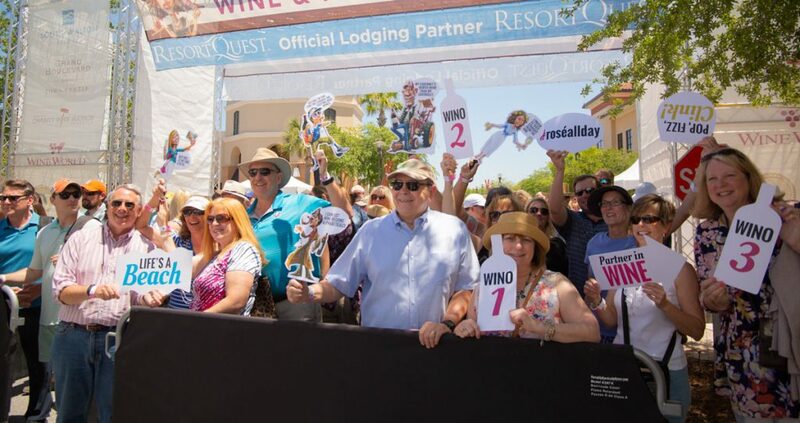 Every year, Vinitaly counts more than 4,000 exhibitors on a 100,000+ square meter area and 130,000 visitors from over 140 different countries with more than 30,000 top international buyers. The premier event to Vinitaly, OperaWine “Finest Italian Wines: 100 Great Producers,” which will be held on the 6th of April, one day prior to Vinitaly will unite international wine professionals in the heart of Verona, offering them the unique opportunity to discover and taste the wines of the 100 Best Italian Producers, as selected by Wine Spectator. Since 1998 Vinitaly International travels to several countries such as Russia, China, USA and Hong Kong thanks to its strategic arm abroad, Vinitaly International. In February 2014 Vinitaly International launched an educational project, the Vinitaly International Academy (VIA) with the aim of divulging and broadcasting the excellence and diversity of Italian wine around the globe. VIA this year launched the seventh edition of its Certification Course and today counts 157 Italian Wine Ambassadors and 13 Italian Wine Experts. While people knew the restaurant for the wine, cuisine, location, Piero and his staff – I knew it for at least two completely different things. Over the years I was able to attend at least three classes that Piero lent his expertise to and enjoyed a few special occasion press dinners as well. Every one left its mark on me. The most recent class I attended with Piero was a presentation by Planeta Winery focusing on the Nero d’Avola grape that is cultivated in Sicily. Piero shared his own experience growing up in Sicily before coming to the states and entering the restaurant business. After the class I was lucky enough to sit beside him for lunch. When the waiter brought over a plain green salad with nothing but a yummy dressing I took to the cheese and charcuterie that had also been served and “dressed up” my salad a bit more. Piero, watching me a bit, asked for the tray of goodies so he could do the same. I was tickled. 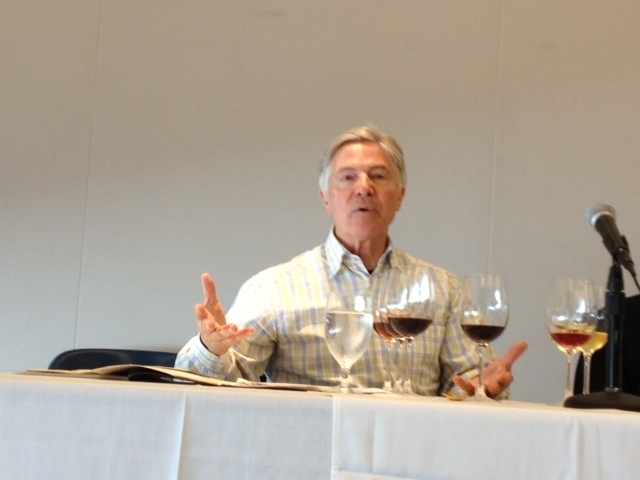 A few years earlier I had attended a lecture via Tasting Panel Magazine where Piero was part of a panel discussion and presentation at the Skirball on the wines of Calabria. Once again I was amazed by the amount of knowledge this restaurateur had under his belt and vowed to never underestimate the amount of knowledge, and sweat, that goes into running a restaurant for so many years. The very last meeting I attended where Piero hosted was at Valentino and discussed the sticky wicket of the how and why of corkage policies. As I listened to somms and restaurant owners lament the demise of their business due to corkage policies that were demanded by customers, I was charmed by Piero who never once criticized a guest. A real gentleman. There were also a few press dinners I attended courtesy of Piero. We were “guests of the Briziarelli estate” for the multi-course dinner, which was fabulous. LOTS of photos in this link. I remember a slight lull in the evening and I was able to get Piero to take a few minutes to show me his famed wine cellar. Hall after hall, room after room, up a staircase to a larger room, and finally opening up into the private cellar dining room. I had literally died and gone to wine writer heaven that night. Another dinner heralded in the latest Brunello di Montalcino 2010 vintage, again in a multi course menu, only to be interrupted…by the blare of a horn? It was famous Italian butcher Dario Cecchini from Panzano, Chianti! And why Valentino for this special dinner? “Valentino was ONE of only 26 restaurants to toast the Brunello 2010 as only 26 were awarded the Leccio d’Oro prize; the restaurant was also one of the first to receive this prestigious award in 1995 – and the first outside of Italy.” Part one on this story is linked above, this is the link for Part two. The most memorable dinner for me had to be the Prosciutto di Parma event. 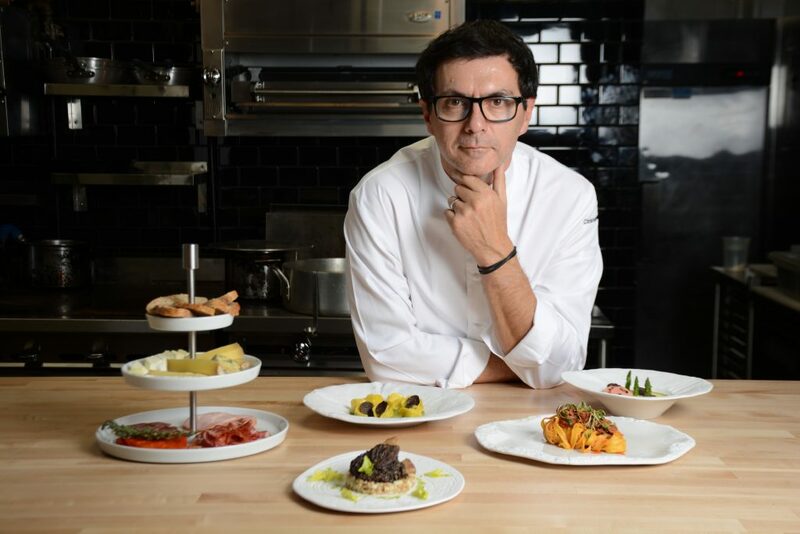 A group of press were invited into that private cellar dining room, after appetizers on the second story patio and then after a demonstration and lesson with Francesco Lupo we sat and enjoyed dish after dish created by Chef Nico Chessa. My mouth waters to this day when I reminisce about that dinner. Okay, only now, after having written all this out, I can say goodbye to Valentino and all that Piero gave to us. I will be forever grateful for his gracious press invitations and the wealth of education I gained from it all. Can you say the same about any restaurateur you have known? In looking over the Vino Noceto website to prepare my brain’s palate, so to speak, I learned that other than running a recent press release about the winery adopting a new 3 liter refillable bottle dispenser, and that they’ve participated in Family Winemaker events, I don’t think I had ever tasted their “world class Sangiovese.” Nice to have an opportunity to rectify that! Suzy and Jim of Noceto. 2012 Noceto Sangiovese, Amador County, 14.1% alcohol (SRP $18.00) – Blackberry, plum, raspberry, wet bark, wet leaves, black peppercorns; bright tart red fruit to start but dark fruit on the mid-palate, peppery, very dry, medium finish. Wanted food with this one. 89 Eve pts. 2011 Noceto Sangiovese, Amador County, 13% alcohol (SRP $18.00) – Pungent plums, plum jam, milk chocolate, coffee, black olive, cracked green pepper; surprising bright developed fruit delivered in a lovely mouthfeel, dark red cherry, good balance, short finish. Thinking this needs a bit of aeration to see what else develops. 88 Eve pts. 2010 Noceto Sangiovese, Amador County, 14.1% alcohol (SRP $18.00) – Dark fruit dusted in cinnamon, cocoa, walnut, spicy enough to tickle the nose, reminds me of hot chocolate but, you know, not heated; balanced red to dark fruit again, dusty, some tang, nice pepper and spice on the long finish. Didn’t need food or aeration. 90 Eve pts. NV Rosso Tuscan Style Red Blend, Amador County, 13.8% alcohol (SRP $18.00) – Diced black cherries, blackberry brandy, earth after a rainstorm; wholly appealing with dark juicy fruit, some tobacco, just enough pepper and spice to linger in for a medium finish. This one doesn’t need food or aeration either. 91 Eve pts. Nearly two decades after bandwagoners gave up on California’s Cal-Ital movement, are we now seeing a re-appreciation of Italian grape varieties that offer something new and unique to the ever-diminishing scope of California wine. It should come as no surprise then, that among those achieving the highest quality in Italian varietal wines, are the producers who never abandoned them. 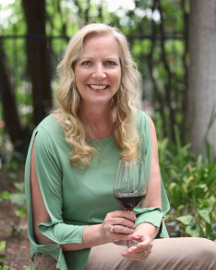 Flying in the face of naysayers, Jim and Suzy Gullet are among the elite few who spent the last twenty years experimenting in both the vineyard and cellar to create beautiful expressions of Sangiovese. Their compelling range of styles is the result of their dedication to these varieties and their passion for Italian wine and culture. 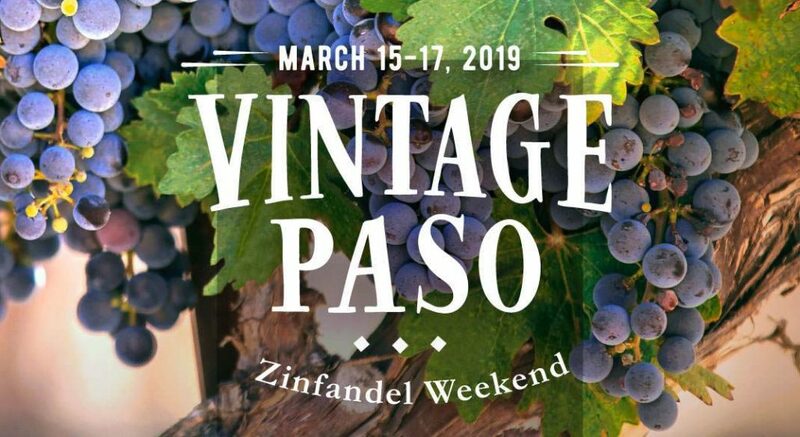 Displaying an unwavering commitment to these grapes, the quality of their wines has hushed the non-believers, and redefined what well-made Sangiovese can achieve in California. 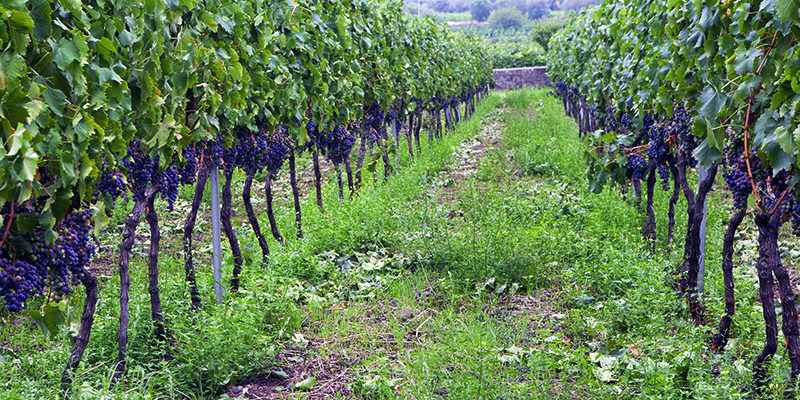 Drawing inspiration from Tuscany, the Noceto Sangiovese and Vino Noceto’s new red blend, Rosso, derive their unique personalities from the use of five distinct clones of Sangiovese. The presence of these clones grants longtime winemaker Rusty Folena a degree of creative freedom, allowing him to selectively blend multiple variations of Sangiovese to create a harmonious expression of the grape. 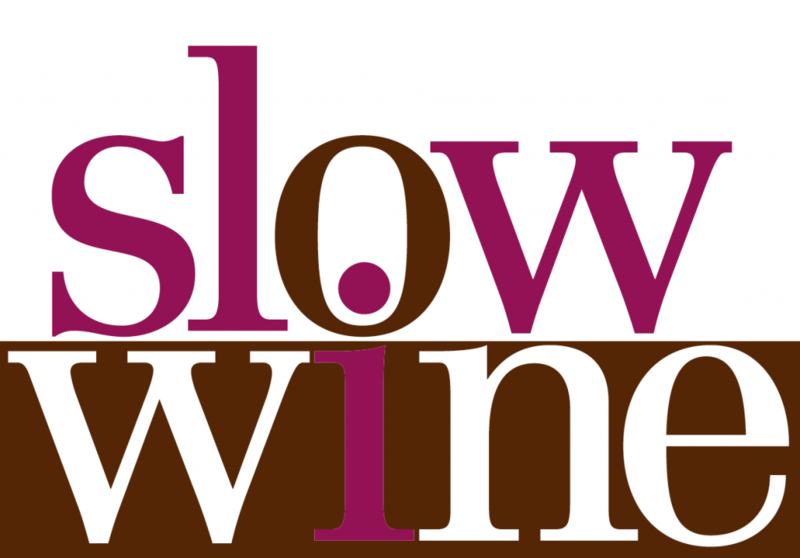 In addition to their flagship Sangiovese, Vino Noceto produces four estate block bottlings that highlight the diversity of the Sangiovese clones, a Riserva Sangiovese, a bold new Tuscan-style red blend, Rosso, and AX-1, a super-premium Brunello-style Sangiovese. 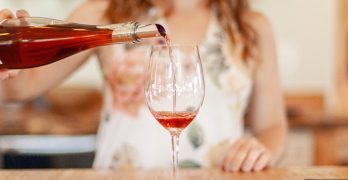 So while Italian grape varieties may be experiencing a renaissance in California, for many, Cal-Ital was more than just the latest trend in winemaking. For many, Cal-Ital never died.